According to annual report filings with the DOL, unions reported little changes in their membership numbers, with increases attributed to retirees joining. In Janus v. American Federation of State, County and Municipal Employees, the U.S. Supreme Court ruled that public workers were no longer required to make “fair share” payments to unions in lieu of joining the union as a full member. The court prohibited unions from forcing nonmembers to pay for collective bargaining and other expenses, arguing the mandatory fee violated the nonmembers’ First Amendment rights to freedom of association. Since Janus, AFSCME lost 98 percent of its agency fee-paying members in 2018. 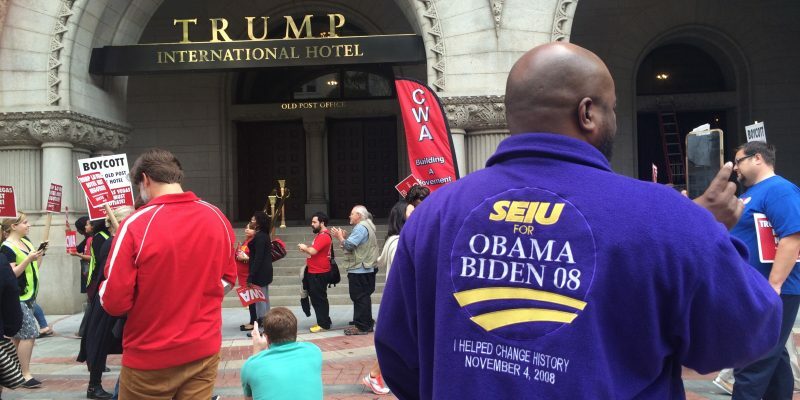 The Service Employees International Union (SEIU) lost 94 percent of its fee-paying members. Combined, AFSCME and SEIU lost more than 210,000 agency fee members after the Janus ruling. Their payments accounted for 70 to 80 percent of full union dues. In 2017, AFSCME reported having 112,233 agency fee payers. By 2018, that number dropped to 2,215. During the same time period, the SEIU reported a drop from 104,501 agency fee-payers to 5,812. Loss of non-member agency fee payers resulted in AFSCME reporting a $4.2 million revenue loss in 2018. The SEIU reported an $8.6 million gain in revenue during 2018 despite losing members and fee payers, because it included 2017 funds for 2018 due to “accounting lags,” according to Bloomberg Law. Despite decreasing revenue, expenses increased for these unions, Bloomberg reports. Five lawsuits filed against labor unions sought refunds of more than $150 million in fees paid by nonmembers, with dozens of class actions potentially costing millions more. Other lawsuits challenge the unions’ ability to represent nonmembers during collective bargaining or restrict when former members can stop paying dues. Among them were federal lawsuits filed in three different states by Ohio’s conservative think tank, the Buckeye Institute, on behalf of public employees. The institute sued on behalf of Kathleen Uradnik, a political science professor at St. Cloud State University, challenging the Inter Faculty Organization’s authority to represent her and other workers who aren’t union members. The Buckeye Institute also sued on behalf of Jonathan Reisman, a public university professor, against the Associated Faculties of the University of Maine and among others, and on behalf of a Jade Thompson, a public school teacher against the Marietta Education Association and the Marietta Board of Education. The institute challenged the union’s authority to act as the sole representative for all workers in a bargaining unit.